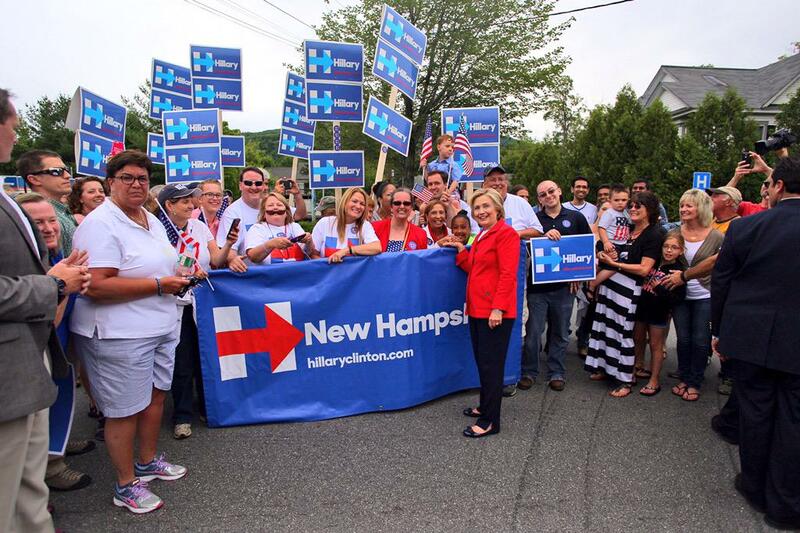 Claim: A photograph depicts an unwitting Hillary Clinton posing next to a woman wearing an “I’m with stupid” shirt. THIS IS PRICELESS! RE-POST PATRIOTS!! 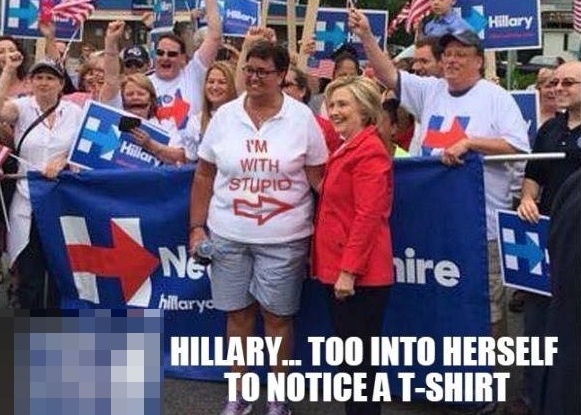 Origins: On 6 July 2015, the above-displayed photograph was posted to Facebook, depicting Democratic presidential contender Hillary Clinton seemingly obliviously posing with a woman wearing an “I’m with stupid” shirt during a campaign event (a goof not noticed by the candidate because she’s “too into herself to notice a t-shirt”). Notably, the polo shirt (not a t-shirt) sported by the unidentified ostensible Clinton supporter lacked the “I’m with stupid” embellishment (a design that was at best implausible on a polo shirt in the first place). But some gainsaid that the second (photo) shooter hardly provided a smoking gun, as the woman shown on the sideline here might have quickly changed into an identical “I’m with stupid” polo shirt just before posing with Ms. Clinton for the sole purpose of pranking the former secretary of state. Or she just might have had an iron-on transfer machine on hand which she used to quickly and craftily alter her top just to embarrass Clinton.